Organizers behind the Oct. 26 campaign say the ban on women driving underpins wider issues regarding guardianship laws in Saudi Arabia that give men powerful sway over women's lives. Loujain al-Hathloul, 25, set out to defy the kingdom's ban on women driving by crossing into her country from the UAE. 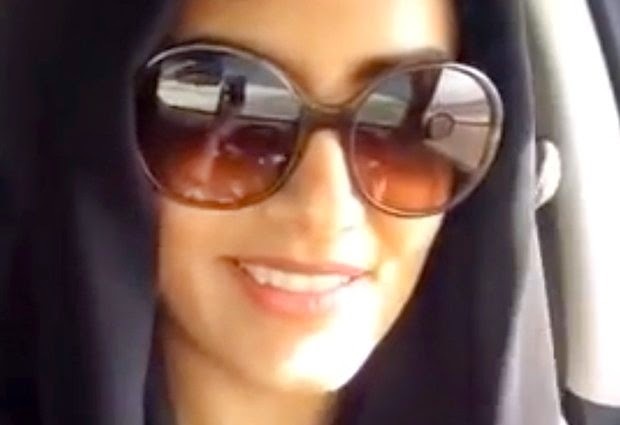 In a video uploaded to YouTube Nov. 30, al-Hathloul filmed herself driving toward the Saudi border in what she said was "an effort to sustain the campaign for women's driving." "She wanted to highlight the absurdity" of not being allowed to drive into her own country, an activist said on condition of anonymity for fear of government reprisal. Saudi border guards confiscated al-Hathloul's passport and kept her at the border for nearly 24 hours. Maysa al-Amoudi, 33, arrived the next day to deliver food, water and a blanket to al-Hathloul, her sister Hannah al-Amoudi said. Human Rights Watch said both women were then detained apparently for driving, though it is not clear if they will face criminal charges. Al-Amoudi said authorities notified the family on Sunday that they were extending her sister's detention another 25 days. They did not provide the legal reasons for holding her. There was no official Saudi comment on the arrests. .